VSAFF is thrilled to present the first film adaptation of the classic and iconic South African short story, The Suit. First published in 1963, The Suit is the best-known work of author and Drum magazine journalist Can Themba. It was banned in apartheid South Africa, along with all his writings, after the authorities declared him a “statutory communist”. 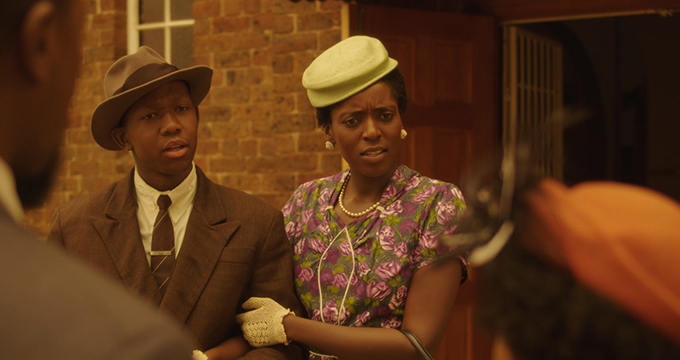 Filmed in historic locations in Sophiatown and set against the backdrop of the forced removal of “non-whites” from this thriving Johannesburg suburb during the 1950s, The Suit harnesses some of South Africa’s top acting talent to bring its moving tale to life on the screen. The 2017 VSAFF runs from March 31-April 2 at SFU Woodward’s. A full schedule of films will follow in February, along with single-film ticket sales. For now, you can purchase your full Festival Passes here. The full Festival Pass gets you into every VSAFF film, plus our lekker Gala Party at John Fluevog Shoes in Gastown on the Friday night!